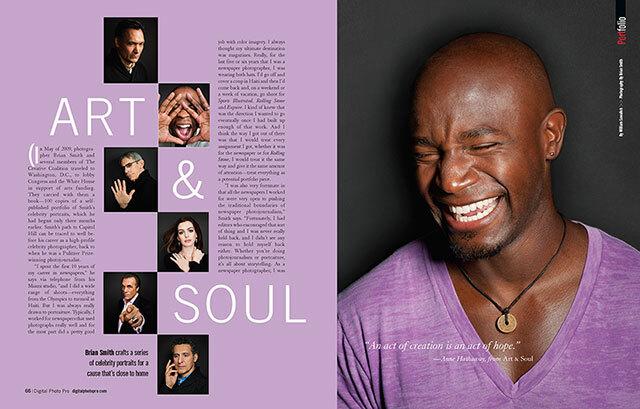 Digital Photo Pro magazine has a fantastic feature by William Sawalich about my ‘Art & Soul’ project in their July/August 2010 issue. 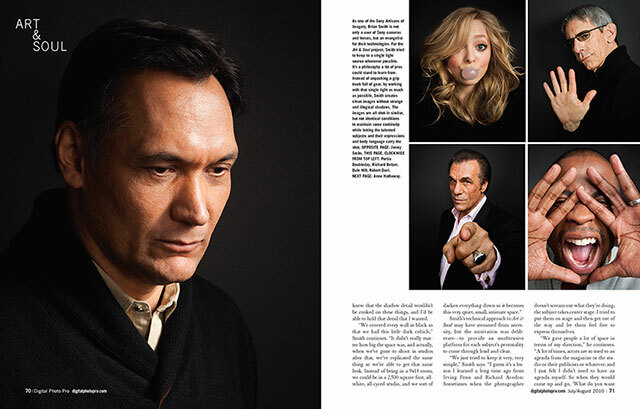 It features a behind-the-scenes look at my about my celebrity portrait project to support arts funding. I really enjoyed the article. When my issue of the magazine came in the mail- I read your interview first. One thing you mentioned in the article was that you did not suggest any poses, but rather, you ask the actors and actresses to do whatever it was that they wanted to do. Doing that was extremely effective- the images show that. Thanks P..J., glad you enjoyed it. We’re getting closer to finalizing a launch date for the book.